As high school students, we hear this question a lot from people who find out we’re spending our summer interning at Birch Aquarium at Scripps. But through this internship we’ve discovered that oceanography actually involves many different fields of study. So, we’re here to tell you what degree we’ll each be pursing and how this internship will help us earn it. I’ve always loved animals and have always wanted to major in Zoology or focus on Biology with a minor in Zoology or Photography. I’ve recently become interested in Psychology, but it’s hard to choose between the two areas of study because I have a huge passion for animals. My experience at Birch Aquarium at Scripps has helped me expand my interests. 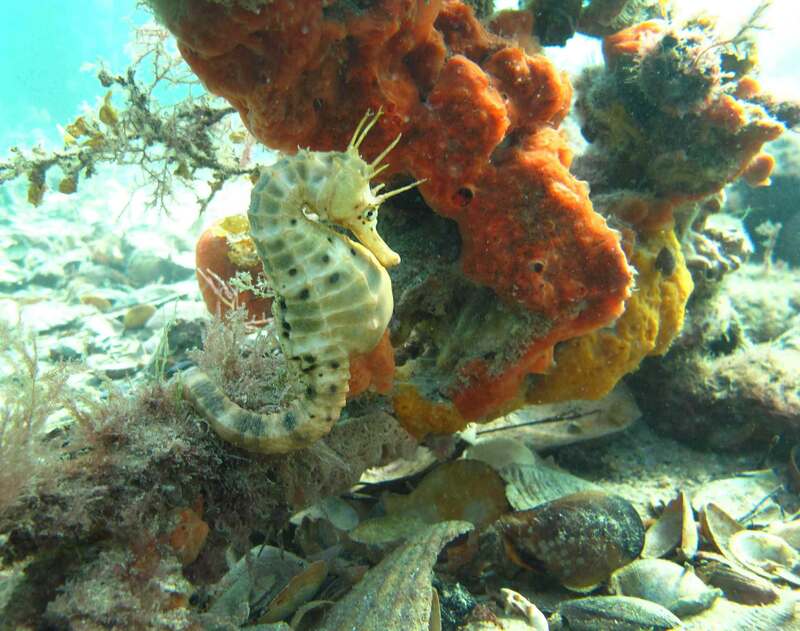 I’ve always been more interested in land mammals, so my time here has taught me a lot about marine biology. I now know more about the many of careers in oceanography, which will help in choosing a major. I start at UC Davis this fall and will be pursuing a degree in Biological Science with an emphasis in Marine Biology. I’m minoring in Environmental Science and Society and am also interested in environmental law. My internship at Birch Aquarium allowed me to explore my interests in oceanography and helped me decide on an emphasis for college. I also feel I’ve become more social, responsible, and intellectual. I’d like to major in either Marine Biology, Veterinary Science, or Forensic Sciences (in the form of foreign relations and languages). I have many different interests and am trying to find the one I’m most passionate about. Regardless of which degree I choose, this internship at Birch Aquarium has given me great experience, whether it be from interacting with marine animals or interacting with our diverse visitors. 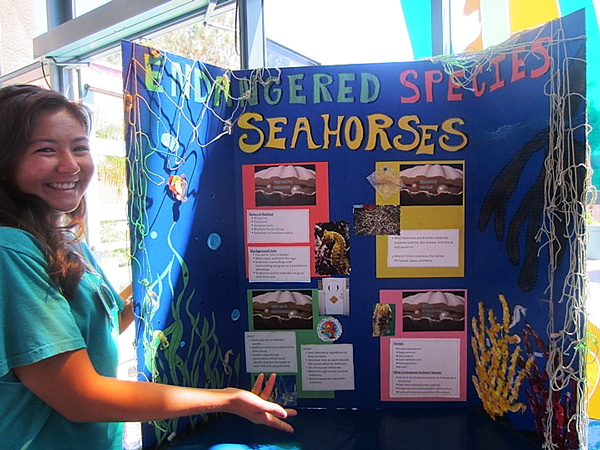 Intern Ciera Villegas teaches Birch Aquarium at Scripps visitors about seahorses. I grew up in an agriculture-based community, so I think I’d like to major in Environmental Science with a minor in Marine Biology. I plan to attend a University of California school, eventually receiving a doctorate. Being at Birch Aquarium this summer gave me knowledge about my chosen field and helped me develop social skills. I also learned about the importance of flexibility and what type of work environment I most enjoy. 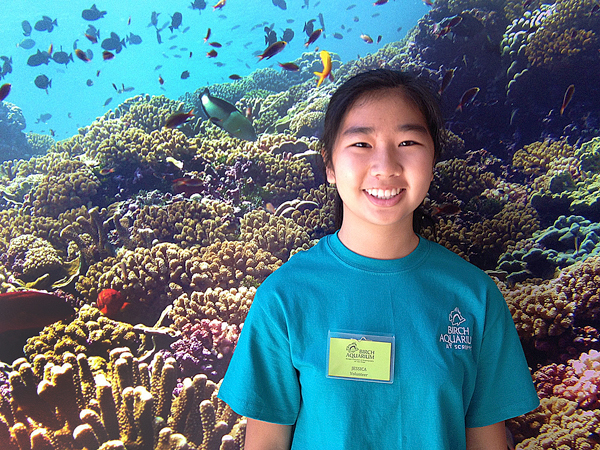 For more information, visit Birch Aquarium’s Youth Internship Page.